Be it known across the land, that May 16th will henceforth be known as Gluten-Free Beer Day in the City of Roses. This should be an episode of Portlandia. Happy Gluten-Free Beer Day! Celiacs, this brew's for you! 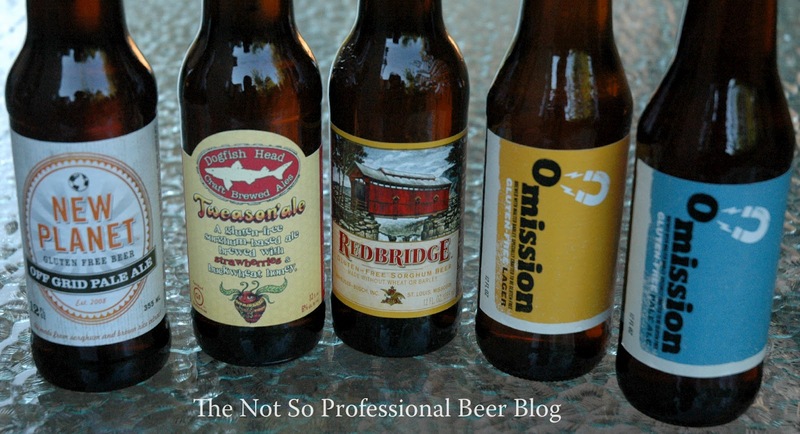 Do you drink gluten-free beer? What are your favorites? Now, therefore, I, Sam Adams, Mayor of the City of Portland, Oregon, the “City of Roses,” do hereby proclaim May 16, 2012 to be Gluten-Free Beer Day in Portland, and encourage all residents to observe this day. Omission Beer is a new brand of gluten-free craft beers, available only in Oregon. Brewed by Widmer Brothers Brewing in Portland, Ore., Omission is the first craft beer brand in the United States focused exclusively on brewing great tasting craft beers with traditional beer ingredients, including malted barley, that are specially crafted to be gluten-free. Each batch of Omission Beer is tested using the R5 Competitive ELISA test, to ensure that every batch contains well-below the international standard for gluten-free of 20 ppm gluten. Drinking is believing. Deschutes Brewery jumped into the gluten-free brewing scene back in 2007 and always has a gluten-free beer on tap at both its Bend and Portland pubs. After brewing 48 different batches, the goal remains to brew a great beer that is gluten-free, rather than brewing a great gluten-free beer. Although a silver and a bronze medal from the Great American Beer Festival hang on the pub walls from their process, Deschutes Brewery continues to work with different styles to serve the gluten-free world. Harvester Brewing is the nation’s only dedicated gluten-free craft brewery, founded in 2011 in Portland, Ore. Harvester's northwest-style ales are handcrafted from Willamette Valley chestnuts, sorghum, certified gluten-free oats, pure cane sugar and Willamette Valley hops. Harvester's beers are made without barley, wheat, rye, corn, or dyes. Harvester Brewing’s facility is entirely gluten-free, no gluten containing items are allowed on the premises. How does Green's Amber Ale (Belgium) (Gluten Free) stack up against those you've tried?